Your connection to the College doesn’t end once you graduate. When was the last time you stopped by campus; cheered on our Spartans at a home game; or guest lectured in a class? 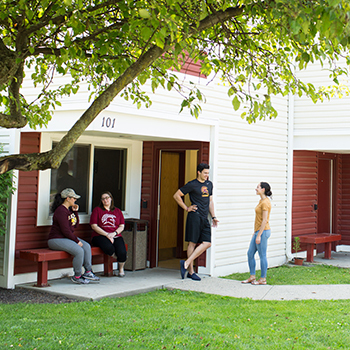 Connecting with students for internship opportunities, lecturing in classes and volunteering at events likes Move-In Day are all ways to help build our college community and foster educational and professional growth for the next group of STAC alumni. For our students, YOU are their future. Many of our faculty welcome guests in the field to speak about their career path. The Office of Career Development can connect you with faculty in your industry. Contact Jennifer Tanis, Director, Alumni Affairs and Annual Giving at 845-398-4045 or [email protected]. Check out our events page for upcoming opportunities to join us on campus. Annual events like move-in day, and our Golf Tournament run on the power of alumni volunteers. Once a Spartan, always a Spartan! Alumni Association membership is automatically granted to degree recipients of the College, with associate membership to students who have achieved senior-year status and who are actively pursuing the completion of a degree. 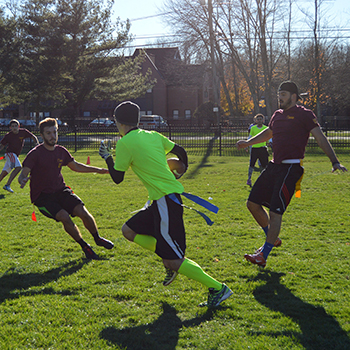 The alumni association helps plan on and off -campus activities for alumni and their families. This is more about the benefits of being an alumni, mentorship, coming back to campus, i.e use of library, career center, gym, also, Affinity programs TD Bank, Academic Federal Credit Union. Liberty Mutual America. Learn more about the Alumni Association. Lend your voice to the discussion! If you’re interested in joining the Alumni Association Board, email [email protected]. 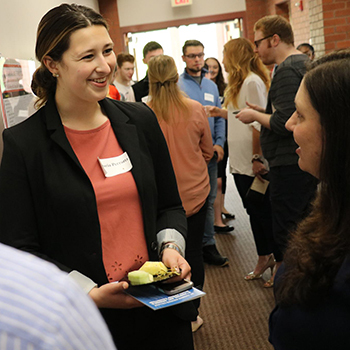 The Alumni Career Network is a service co-sponsored by both the Office of Career Development and the Office of Alumni Affairs at St. Thomas Aquinas College. The Career Network is designed to assist students in making contact with STAC Alumni in various career fields and geographic locations throughout the United States. 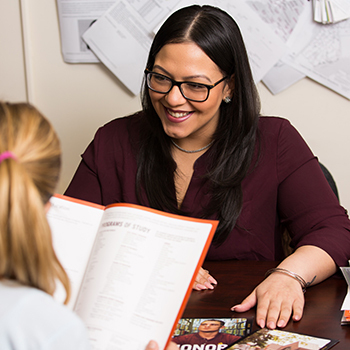 The career network asks successful Alumni to provide STAC students with career-related advice—that is, “real-world” advice and expertise that students may not learn from course-work. Learn More. 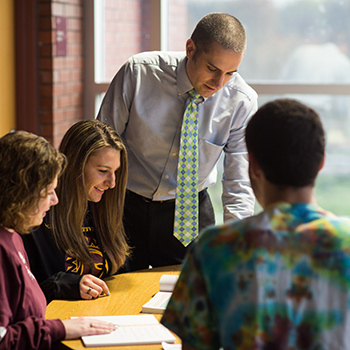 Alumni volunteers assist the Office of Admissions by representing STAC at various recruitment events and activities, and by identifying and maintaining contact with prospective students from the community. The volunteers stay informed of basic admissions information, participate in alumni student recruitment programs and activities (mainly college fairs), and provide feedback to STAC regarding materials and activities. Learn More. Keep up-to-date on Spartan Athletics. Join us for a home game on campus. Check schedules and standings at stacathletics.com. Every year we’re proud to send our Division II teams to regional and national championships. Not local? Find out when Spartans are in your neighborhood. The College hosts several alumni events throughout the year, including our Annual Alumni Hall of Fame Dinner. Join us solo, bring your family or grab your friends to relive the time you spent on campus. Check out events calendar for the next chance to mingle with fellow alumni.